Senator Moore has been appointed to a Steering Committee for the Public Private Partnership on Disaster Mitigation and Recovery coordinated by the National Conference of State Legislatures (NCSL). Senator Moore and his colleagues on the Committee will collaborate with NCSL to piece together information to help educate lawmakers across the country on policies and best practices. Senator Moore and Representative Hannah E. Kane (R-Shrewsbury) have introduced a bill aimed at tackling the illicit market for marijuana in Massachusetts—recently estimated as nearly 75 percent of all marijuana sales across the Commonwealth—while creating new revenues to reinvest in meaningful social equity, youth consumption prevention, law enforcement training and drugged driving detection. Senator Moore joined a group of Blackstone Valley legislators are encouraging the Baker Administration to release $4 million in funding to support the expansion of Blackstone Valley Regional Vocational Technical High School (BVT). The funding was authorized as part of a bond bill passed by the Legislature and signed into law by the Governor last year. Senator Moore and Representative David K. Muradian, Jr. (R-Grafton) filed legislation that would dedicate a bridge in the Town of Grafton as the ‘Veterans Memorial Bridge’ in honor of all who have served the Country. 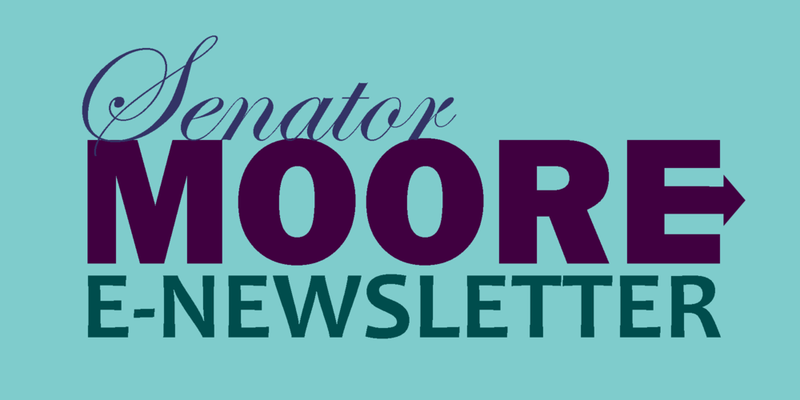 Stay up-to-date with the latest information regarding Senator Mike Moore's efforts in the State Senate on behalf of the Second Worcester District.